How can I use the Amium folder? How can I view previous versions of files added to a project? Can I choose if I want notifications for updates to a file in a project? 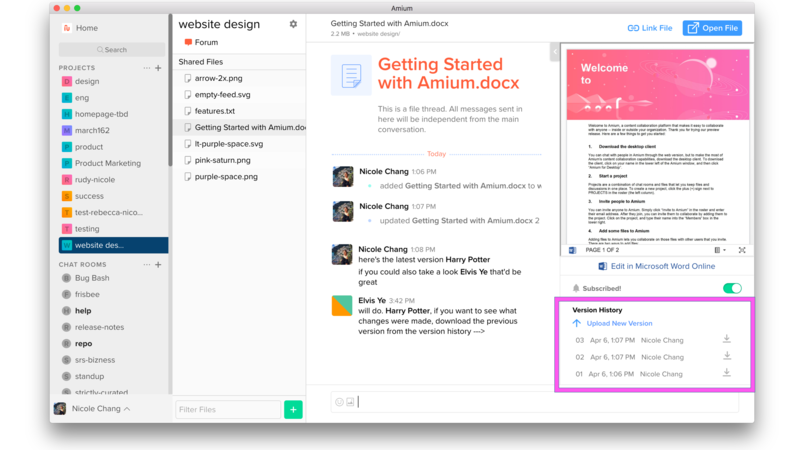 The Version History section in the bottom right corner of any file conversation enables you to view or download any version of that file previously synced in Amium. This feature makes comparing versions and iterating between versions super easy. This does not, however, act as version control for your files.